One of the best parts about the weekend is that I can actually take the time to make warming breakfasts that don’t come from a bottle or container. I love to stay in my pjs, make a coffee and get cooking. 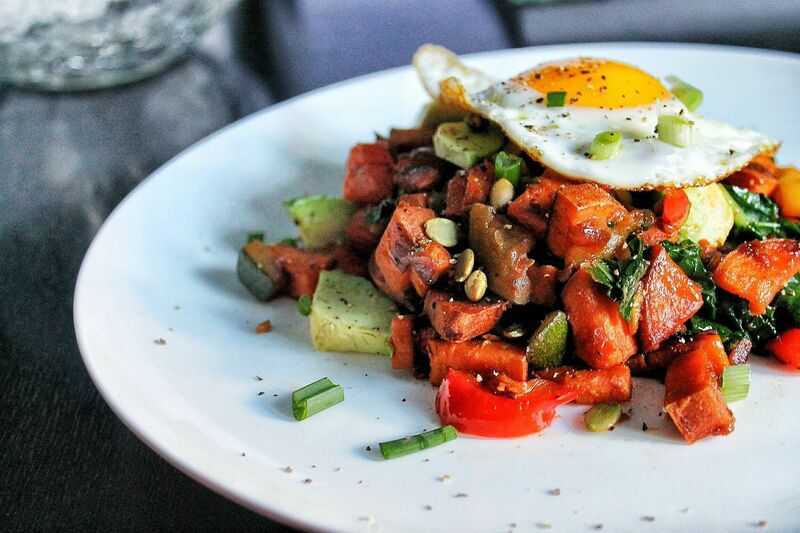 For clean eaters, savoury breakfasts can be somewhat of a challenge- especially when dining out. 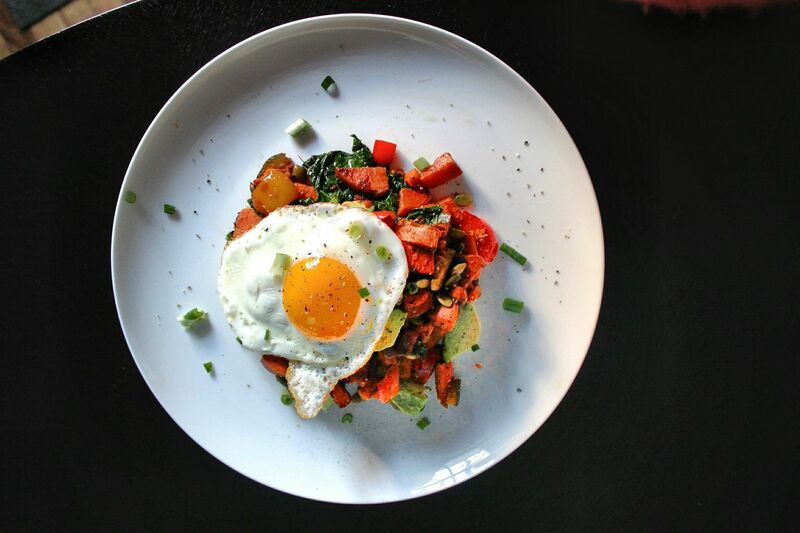 Most people swap out greasy potatoes for tomatoes, and say no to the bread; leaving you with… well, eggs and tomatoes. 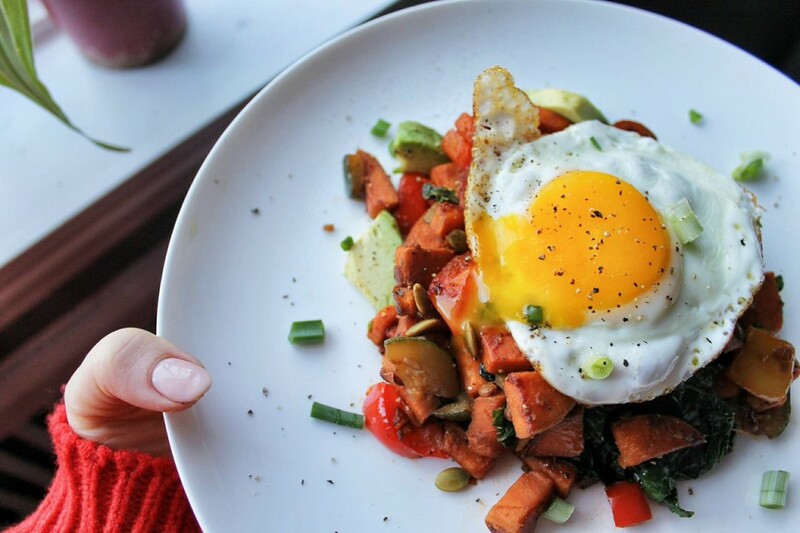 This Clean Breakfast Hash will solve all your breakfast woes. It is perfectly balanced which will help keep you feeling satisfied and full of energized. 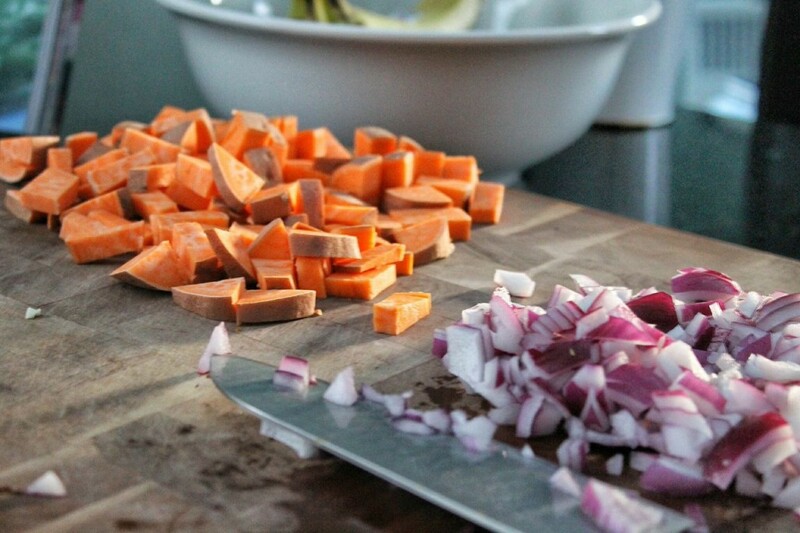 Sweet potatoes are packed with LOADS of vitamin A and those good carbohydrates to give you fuel on a productive Saturday. 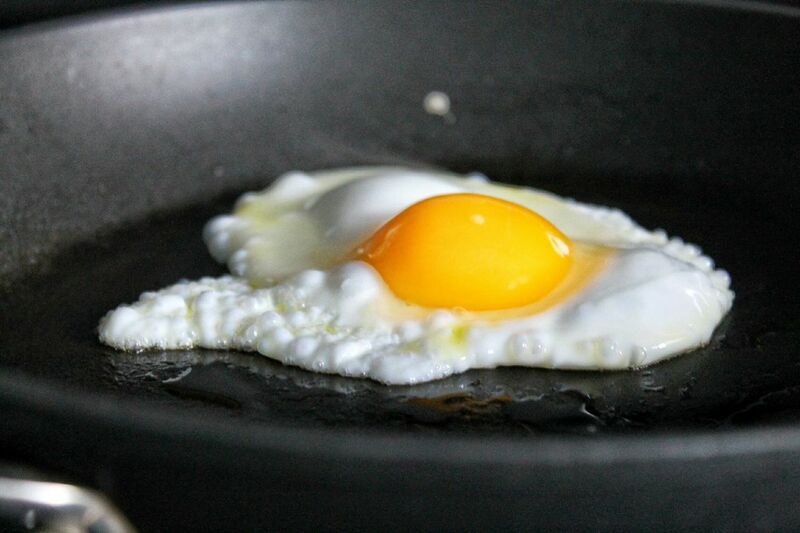 To get optimal nutrition from your eggs try and buy free range organic eggs. For an extra dollar or two, you will actually taste the difference. Now enough talking, time to make that coffee and get cooking! 1. 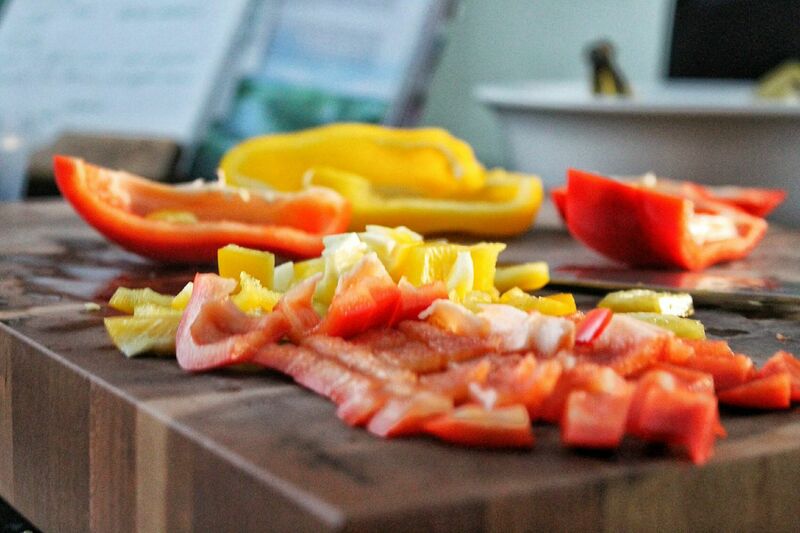 Chop all your veggies. Heat olive oil in sauce pan on medium heat. When hot, add onion and sauté until soft. 3. 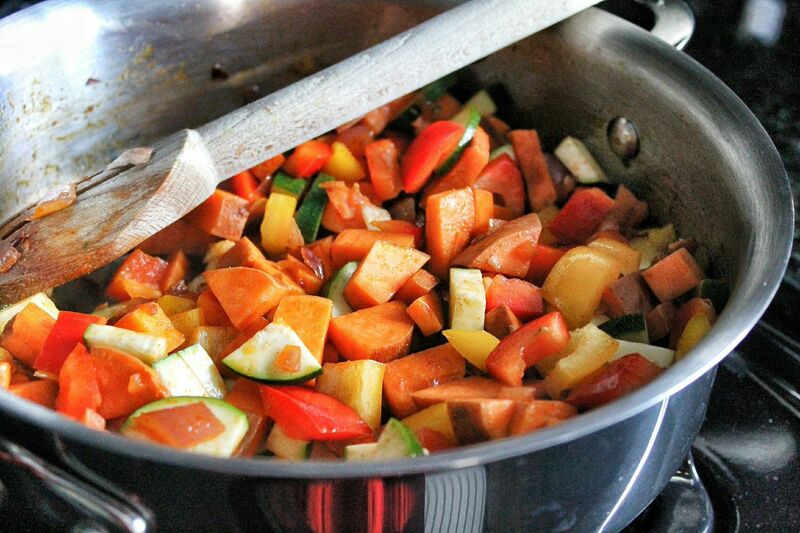 Once sweet potatoes have softened slightly, add your garlic, yellow pepper, red pepper, and zucchini. Stir well and spread mixture evenly in your pan. Allow to brown by cooking for 3 minutes before stirring. Repeat the same process. *** If you find the bottom of your pan is browning or getting dry, you may need to deglaze your pan by adding 1-2 tbsp of water. 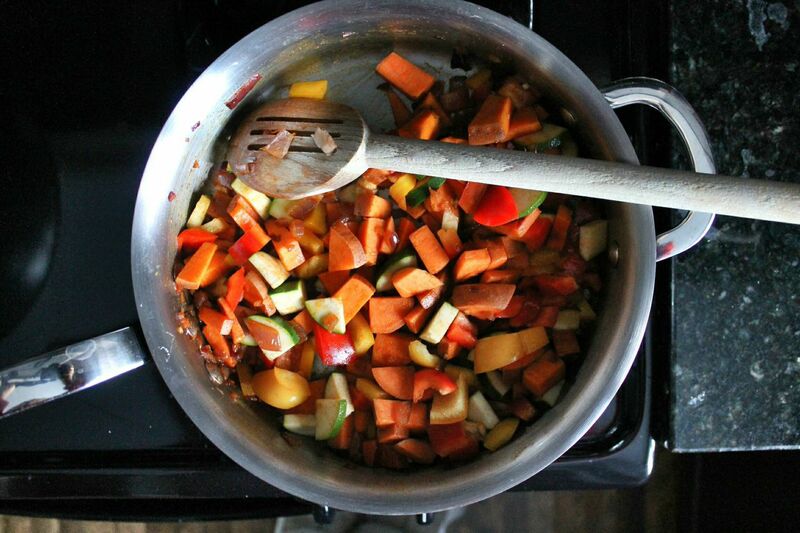 This will also help cook the sweet potato faster. 4. While this is happening, start frying your eggs. Poached, soft boiled, over easy will work great too! 5. Season hash with salt, pepper, red pepper flakes and a squeeze of lemon. 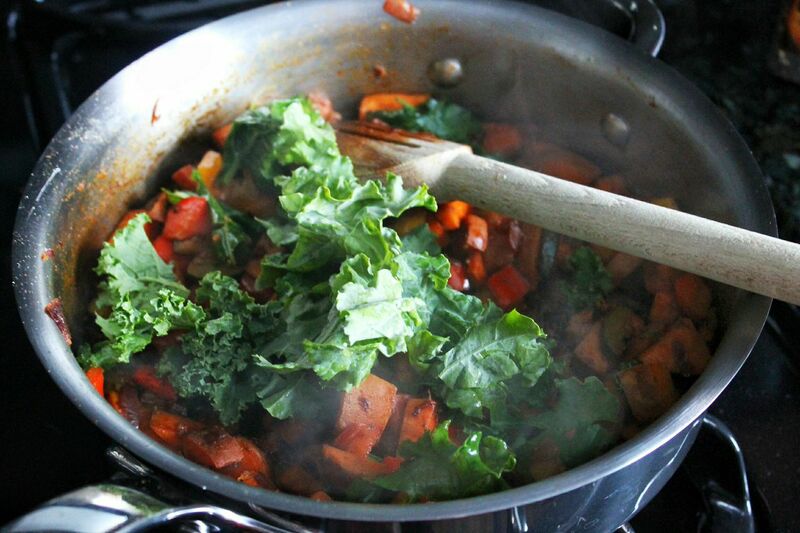 Add kale and stir well. 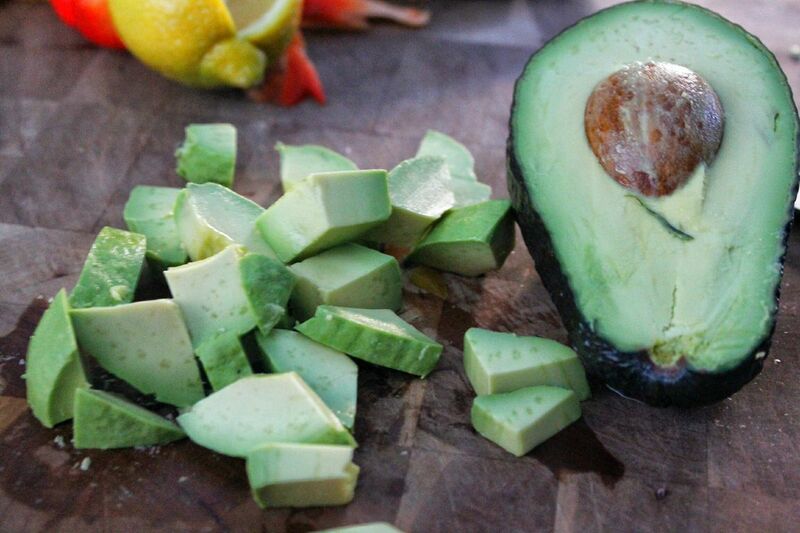 Remove from heat and add your avocado and pumpkin seeds. Divide the hash on two plates and place egg over top. Sprinkle over chopped scallions and more freshly ground pepper if you like. ENJOY! Grating is a good idea!! Will try it next time! I am making this. It looks irresistible. It is amazing!!!! trust me! have made it twice since I posted!